Abiotic stressors are non-living environmental stressors that can have a negative impact on a plants ability to grow and thrive in a given environment. Stressors can range from temperature stress (both extreme heat and extreme cold) water stress, aridity, salinity among others. This book explores the full gamut of plant abiotic stressors and plants molecular responses and adaptations to adverse environmental conditions. The new edition of Plant Abiotic Stress provides up-to-date coverage of the latest research advances in plant abiotic stress adaptation, with special emphasis on the associated and integrative aspects of physiology, signaling, and molecular-genetics. Since the last edition, major advances in whole genome analysis have revealed previously unknown linkages between genes, genomes, and phenotypes, and new biological and –omics approaches have elucidated previously unknown cellular mechanisms underlying stress tolerance. Chapters are organized by topic, but highlight processes that are integrative among diverse stress responses. 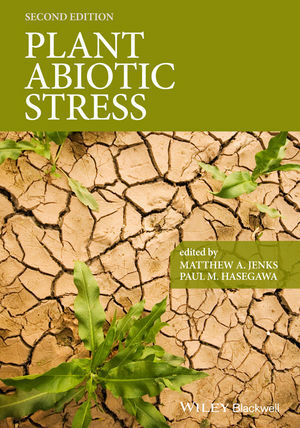 As with the first edition, Plant Abiotic Stress will have broad appeal to scientists in fields of applied agriculture, ecology, plant sciences, and biology. Matthew A. Jenks is Leader of the Plant Physiology and Genetics Research Unit at the Arid-Land Agricultural Research Center for the United States Department of Agriculture. Paul M. Hasegawa is the Bruno Moser Distinguished Professor in the Department of Horticulture and Landscape Architecture and Center for Plant Environmental Stress Physiology at Purdue University.